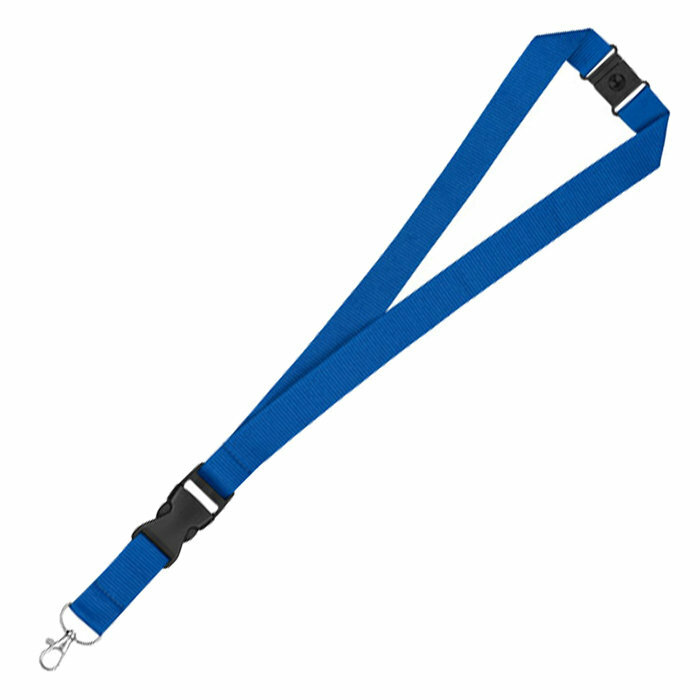 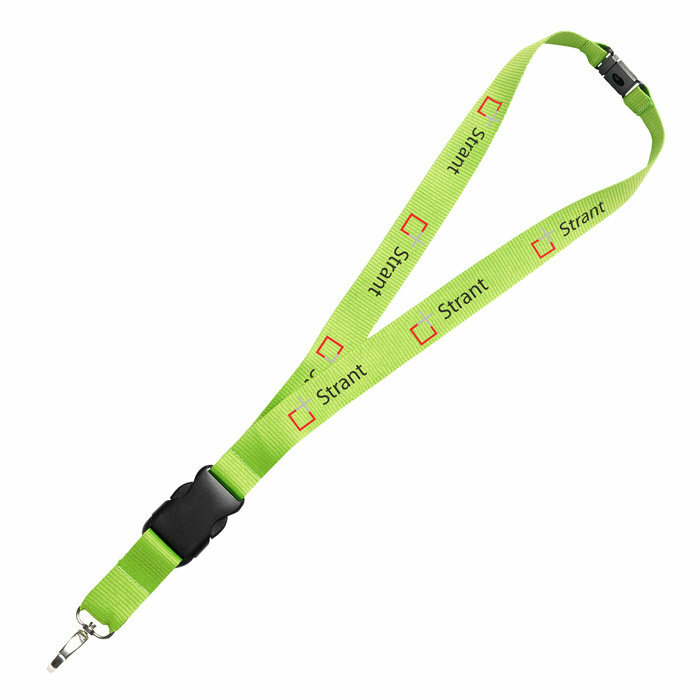 Chunky polyester lanyard to hold their badge, ID card or keys, and your logo! 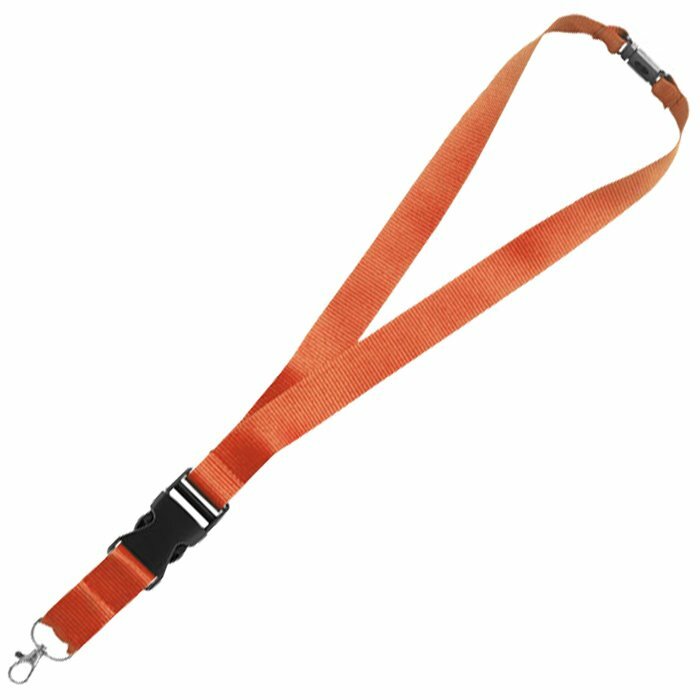 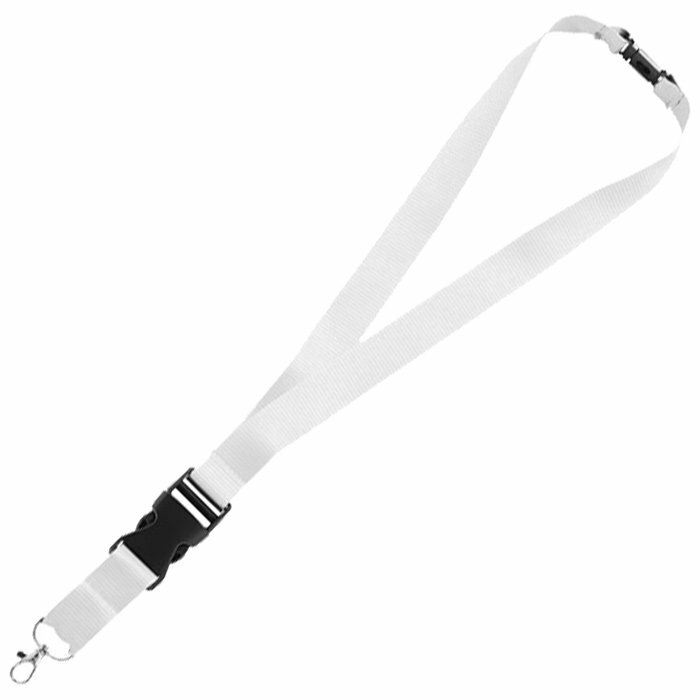 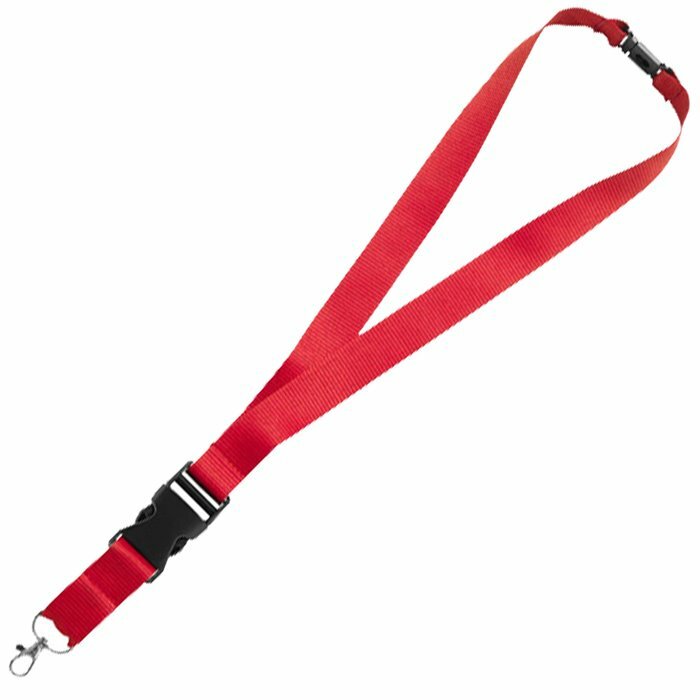 User can unclip the buckle - meaning the lanyard can still be worn and an ID attachment can be swiped more easily. 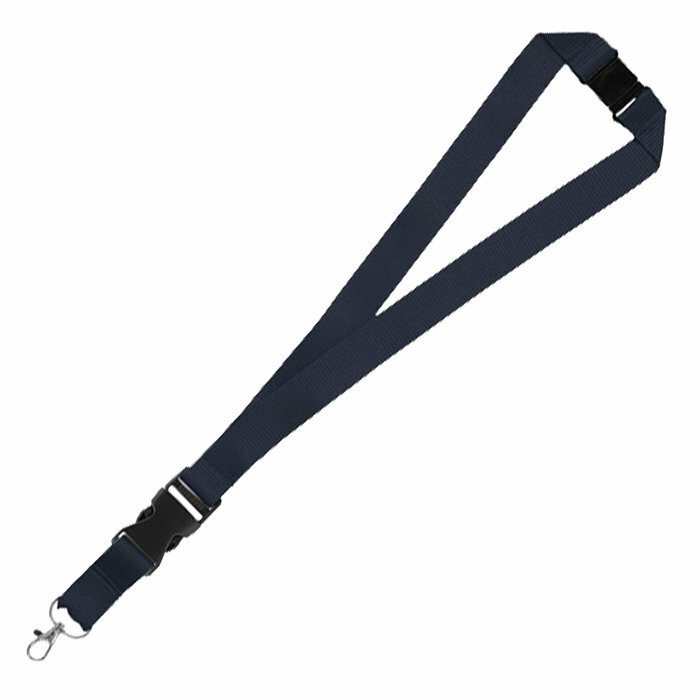 Choice of colours each with a black detachable buckle and black safety break. 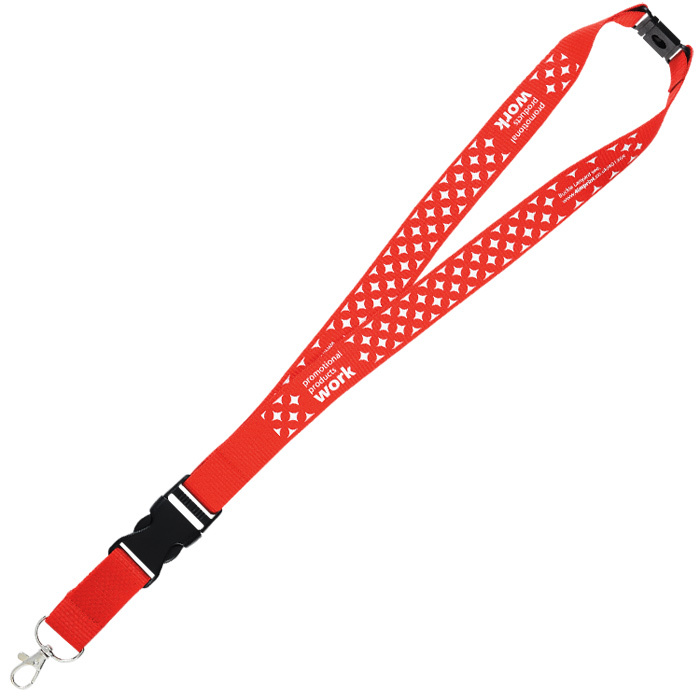 Price includes the same 1 colour print to the front on the left and right sides of the lanyard, alternative designs/message as well as printing to the back possible (costs extra). 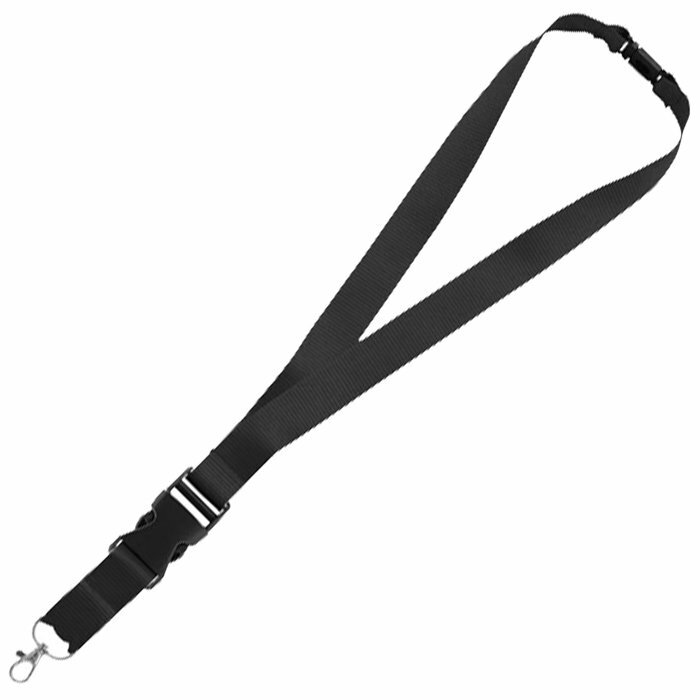 Print area: 260 x 19mm.